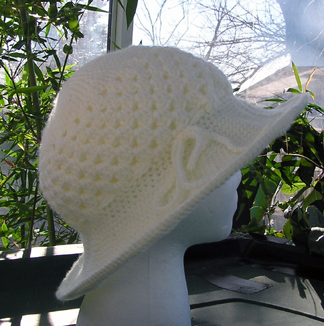 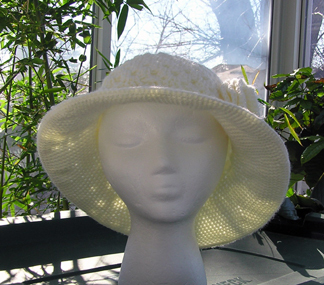 A wide brim style hat made with a 100% acrylic cream beige yarn. 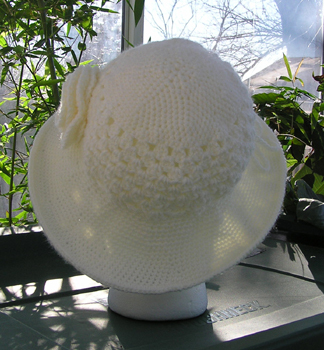 Brim reinforced with plastic wire around outer edge for support. 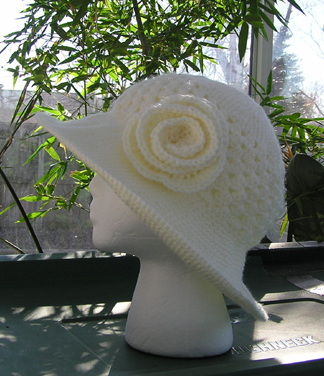 Accented with matching crochet rose.